For use with older Sensimatic units (D700SE-110) w/ serial numbers LOWER THAN #90000 and (D700SE-230) w/ serial numbers LOWER THAN #80000. 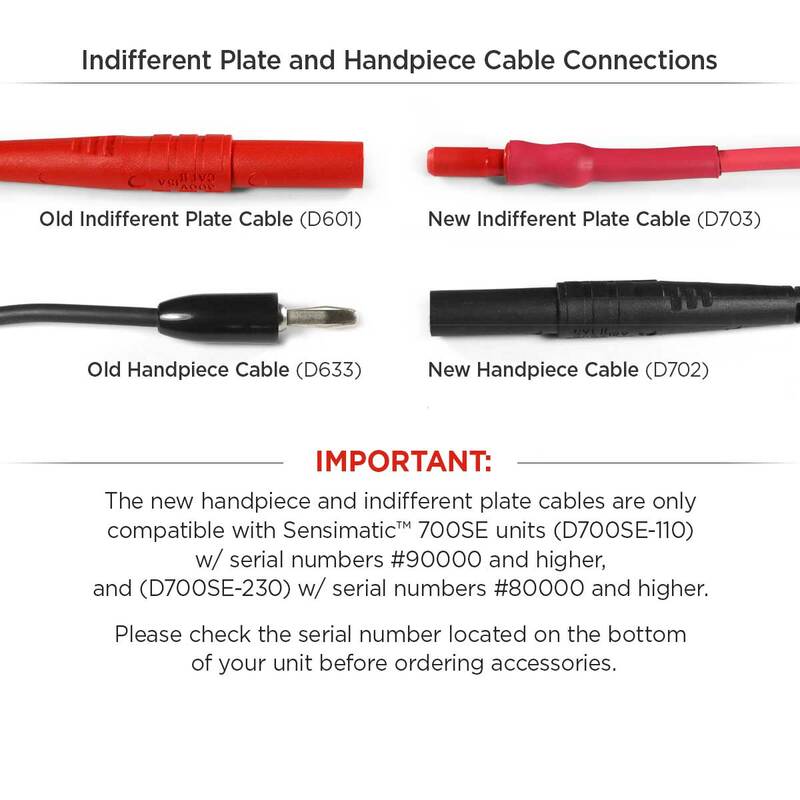 PLEASE NOTE: Please check the serial number located on the bottom of your unit before ordering accessories. 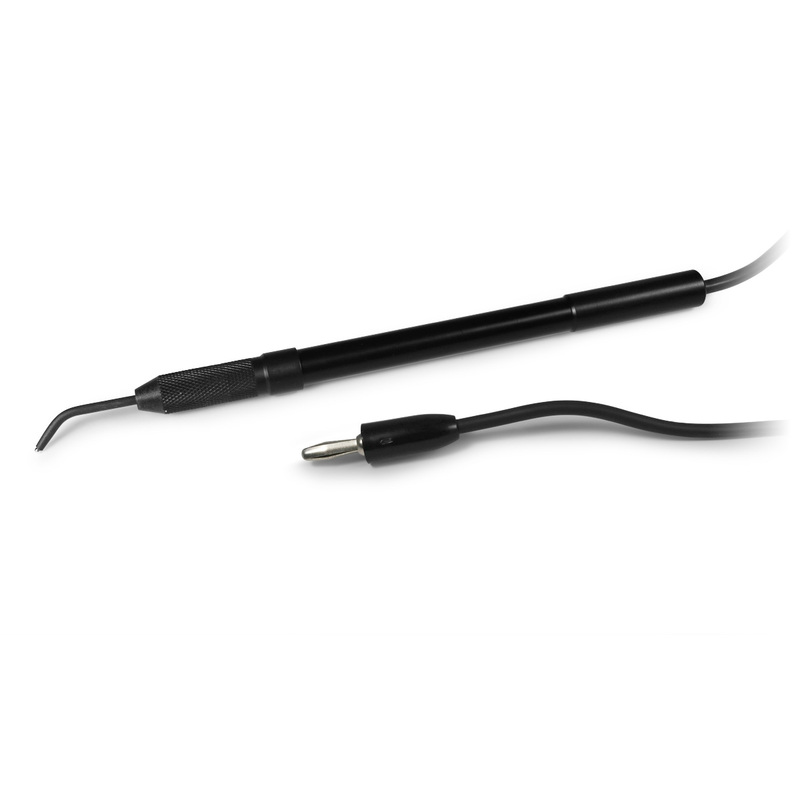 The new black handpiece w/ cable (D702) and indifferent plate w/ cable (D703) are only compatible with Sensimatic units (D700SE-110) w/ serial numbers #90000 and higher, and (D700SE-230) w/ serial numbers #80000 and higher.